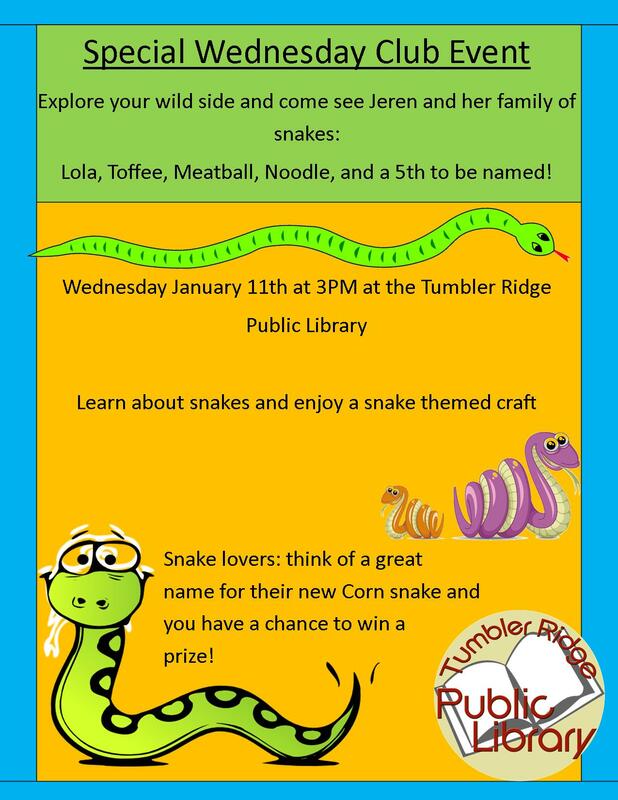 As a part of Wednesday Club on January 11th at 3pm; come visit and learn about snakes! Thank you to our TD Summer Reading Club, and Snack Program Sponsor: Tumbler Ridge Community Forest! TD Kid’s Portal, fun for free!